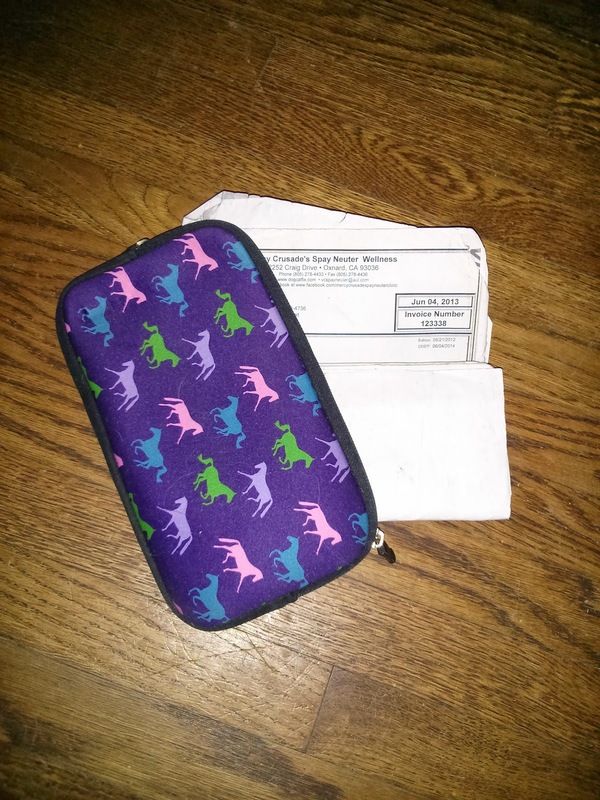 In my purse I carry a pouch with several important papers pertaining to my dogs. I have copies of their vaccination records, their microchip registration, and their neuter certificates. While I've never needed them for more than convenience, having these records with me could help us get out of a potentially serious situation. Let's say, hypothetically, one of my dogs bites someone in an obviously-provoked situation. Maybe they ran up and tried to grab my phone and Brisbane bit them. Maybe there was a fight at the dog beach and we're not really sure who bit who. Anyway, the hypothetical authorities have been hypothetically called, maybe the police or Animal Control. Having the shot records on me could mean the difference between being allowed to leave, or my dog being seized and quarantined. I keep my pets' microchip information up to date and registered with the Found Animals Foundation free microchip registry. Between my two dogs and three cats, we have chips from Home Again, AKC CAR, and InfoPet, and keeping them all up to date can be a challenge. Having Brisbane and Ru's microchip numbers with me is mostly for convenience, though. Lots of places ask for chip numbers on forms, from vets to boarding kennels to city licensing offices. None of these actually require the number, but I figure the more place their chips are connected to my information, the better. Likewise, I have copies of Brisbane and Ru's neuter certificates with me. Not every place allows intact (un-neutered) dogs, and some dogs have undescended testicals, so it's not enough to just look and see that there are no balls. The city licensing office, boarding kennel, and various other places want confirmation by a veterinarian that the animal has been rendered incapable of reproduction. I'm not expecting to actually need any of these documents most of the time, but I like having them with me. It's convenient, and could get us out of an otherwise unpleasant situation someday.